Mornings are about to get really rough for me. My son starts school tomorrow and that not only means early mornings for him, but early mornings for me too. Ugh! I like being able to sleep in if I want to. There’s no doubt I’ll rely a lot on my morning coffee, but after a couple of hours I’m going to be in major need of an energy boost. 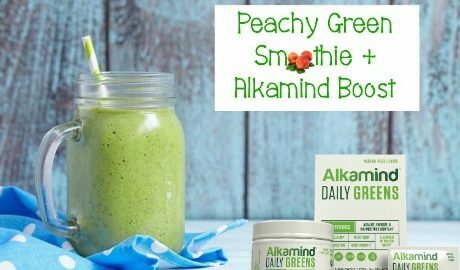 With some assistance from Alkamind Daily Greens, I’m confident my Peachy Green Smoothie will be the perfect pick-me-up I need. I’ll be the first to admit that when I’m rushing around and have what feels like the longest to-do list ever, I don’t always reach for healthy snacks. But with school starting and early mornings beginning soon, I need an easy way to implement healthy, energizing snacks into my day. That’s exactly what my Peachy Green Smoothie is, with a little extra superfood boost from Alkamind Daily Greens. Combine the packet of Alkamind Daily Greens into the milk until well mixed. 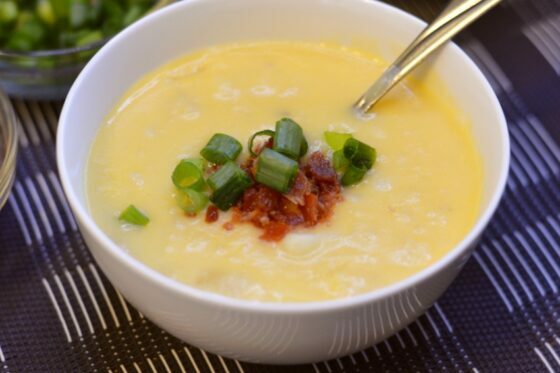 Blend all ingredients and the milk mixture in a blender. *Note: If you skip step 1 and go straight to blending everything, you may find the Alkamind Daily Greens don’t completely incorporate, and you’ll end up with dry flaky-like textures in your smoothie. 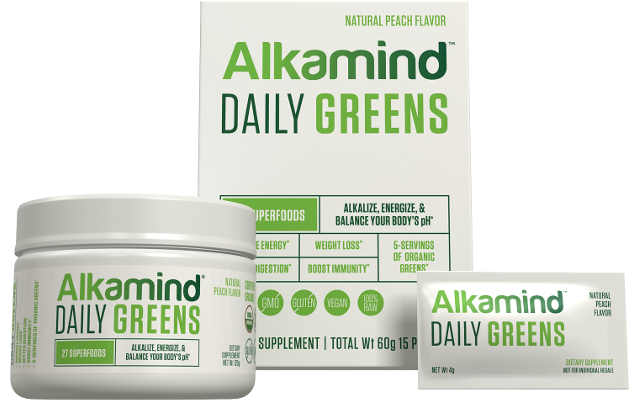 Why is Alkamind Daily Greens a nice boost to my smoothie? Because it includes 27 nutrient-dense alkaline superfoods that help improve energy, increase weight loss, boost immunity, create better digestion, and gently cleanses and detoxifies. 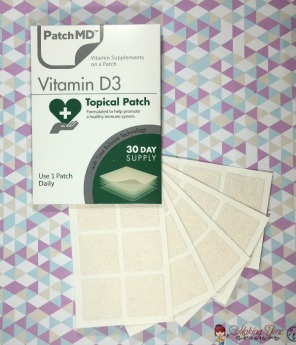 All of that in one little packet! 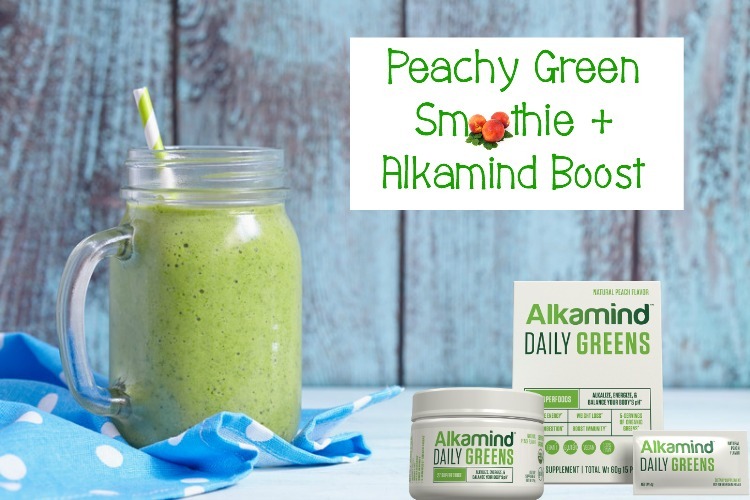 Plus, Alkamind Daily Greens already has a peach flavor to it, so it’s a perfect fit for my Peachy Green Smoothie. 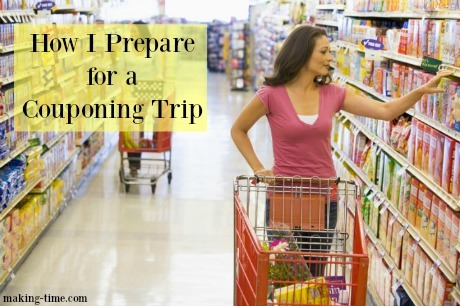 How do you stay healthy and energized on long days? 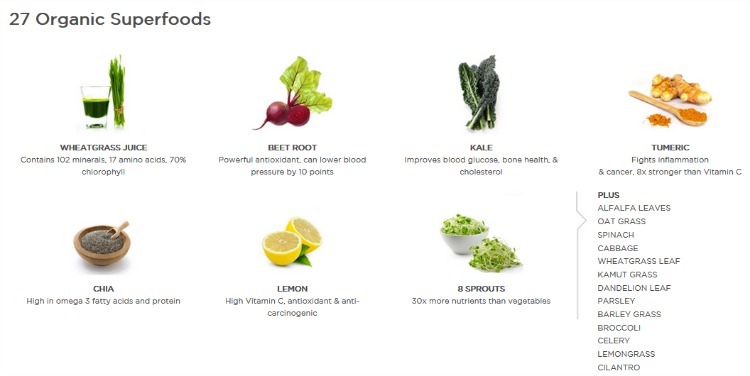 I love smoothies but I’ve yet to try veggies in mine, maybe it’s time to give it a shot! This smoothie sounds great! I definitely need an energy boost. Definitely not getting enough nutrients in my diet. This would be interesting to try!